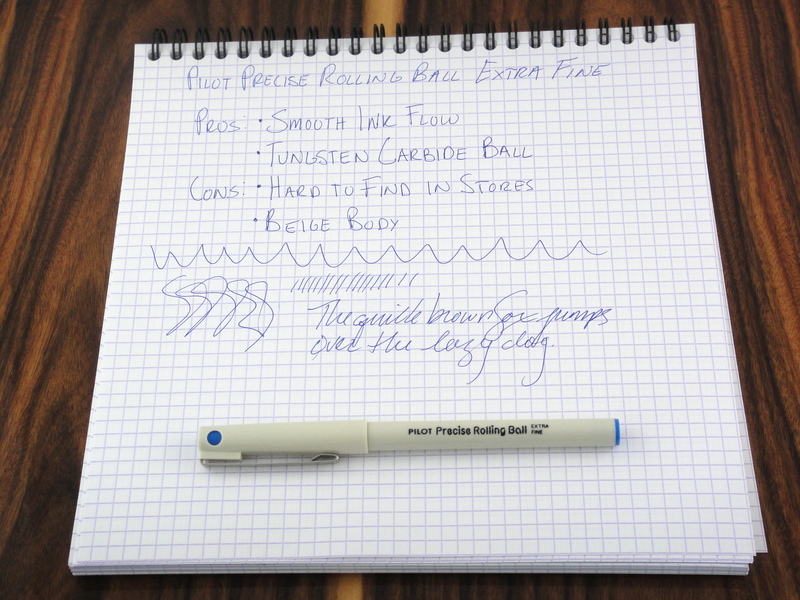 The Pilot Precise Rolling Ball pen is the predecessor to the very popular Pilot Precise V5 (and V7) and has been one of my favorite roller balls for quite a while now. Compared to the V5, the Precise is more satisfying to write with; to me it provides the right combination of smoothness and feedback. The basic beige plastic body wont turn any heads but its understated looks really appeal to me. The Precise features a durable tungsten carbide ball and stainless steel point as well as the same clip and overall shape of the V5. Unlike the V5, it does not have an ink window or a visible feed. You wont find the Precise in most office supply stores anymore but they can easily be bought online. I still highly recommend this pen. I was googling this pen thanks to curiosity. I have it in red, but with fine point (yours is extra fine). I bought it years ago (mid 2000s) in the now non-existent bookstore at my Alma Mater (University of Puerto Rico). I’ve always loved that pen, but in order to not run out of ink, I stopped using it (yes, I’m such a freak with pens!). Yesterday, after a few years, I used it again and I remembered why I loved it so much. Writing is so smooth and it doesn’t bleed. And I love it’s “retro” design. It looks like it’s from the 80’s (one of my favorite decades). I decided to check out if it still existed and I ended up discovering this blog that deals with my two of passions: pens and writing! Thank you for the encouraging words! I appreciate it.